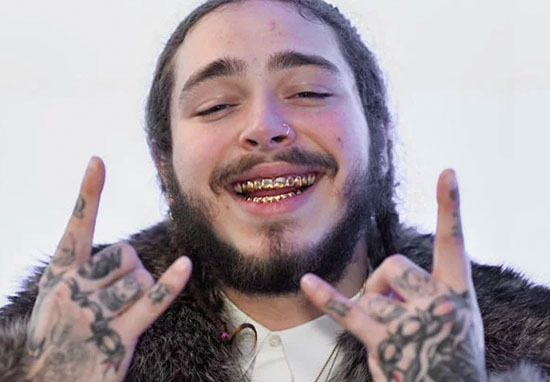 Post Malone has had a whirlwind couple of years; what with his seemingly never-ending bad luck, his close friendship with pal Justin Bieber, and now his tour which is taking the world by storm. In fact, he seems to have made such an impression on everyone that he’s being immortalised in doll form. Or, more specifically, in Funko doll form. 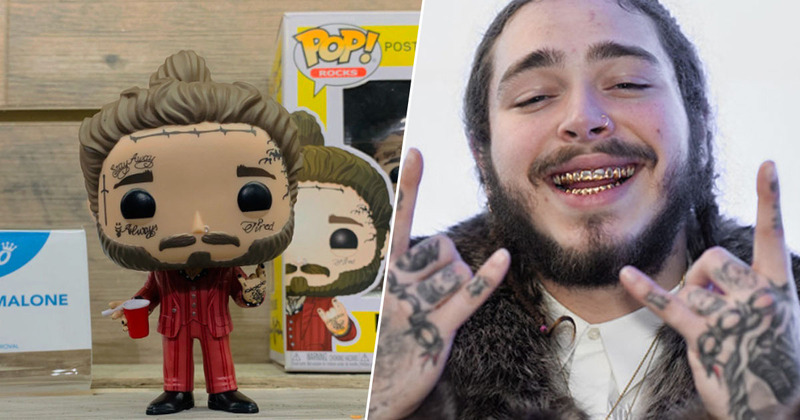 That’s right, Post fans will soon be able to get their hands on a plastic version of the American rapper – complete with face tatts and man bun. As reported by NME, the new addition to the Funko Pop! family is set for release this summer, along with a whole bunch of other notable figures. The doll was unveiled at New York Toy Fair last week; as were other new additions such as NSYNC, Backstreet Boys and Migos figures. Posty himself (well, his doll but you know what I mean) is depicted wearing a red suit, complete with alcoholic beverage, man bun and (of course) face tatts. The doll is also making a rock hand gesture. I love how they’ve included all of his tattoos, right down to the finer details on his hands; I think even Posty would be impressed with that effort. Celebrate your love of music with rapper, singer, songwriter and record producer Austin Richard Post, better known as Post Malone. Add this Funko Pop! figure to your collection. The 3, 3/4″ doll is set for release on May 9 so you haven’t got long to wait until the Sunflower singer can be sat on your desk (not literally, obvs). I’m surprised the people over at Funko didn’t include a cigarette on his doll; after all, he never seems to be without one and even admitted to smoking the most expensive cigarette in his life while touring recently. That’s because Post dropped a massive €4,000 on a cigarette while lighting up at his Dublin gig on Valentine’s Day. Taking stage at the 3Arena, Post took a packet of cigs out of his pocket – as he’s frequently known to do at his gigs – but this time it was different as he told his fans this would be the ‘dearest’ cigarette he’d ever smoke as he lit one up. The rapper then explained the organisers at the Dublin venue had warned him, every cigarette he smoked would cost him €4,000. I mean, I know he’s obviously loaded and €4,000 is probably nothing to him, but it still annoys me that he’s prepared to just waste piles of cash on nothing. Regardless, Post seemed to be pretty content with his choice – I wonder how many he lit up throughout the night?